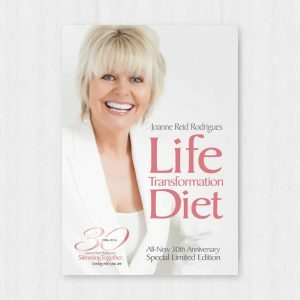 Joanne is the author of Life Transformation Diet (Jonquil Press) and Slim, Happy & Free (Jonquil Press). Together these companion books offer a complete holistic solution to ending yo-yo dieting, losing excess weight and keeping it off for life. 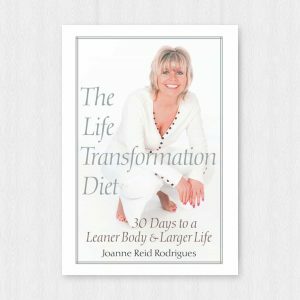 For the Slimming Together programme, Joanne wrote a series of small books entitled From Flab to Fab – more than 40,000 copies were sold over a 15-year period. 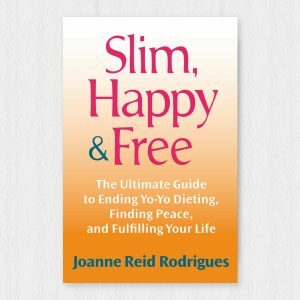 More recently, Joanne wrote Rapid Results for Slimming Together, a low-glycemic health-oriented eating plan designed to rapidly recover blood sugar levels and increase your feel-good factor. Joanne has also written the Authentic Confidence course. Her inspirational stories are published in the American publication Chicken Soup to Inspire Your Body & Soul.